Tonight is strictly to night!.... You are really turning me on, yes baby! Lol! OK! Enough of that.... This is another powerful song you all need to listen to. Suspect Dre really work hard on this one and it features Ca-One, produced by Bold Beats. Enjoy! 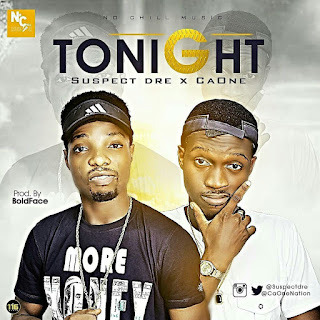 0 Comment to "[Music] Suspect Dre ft CaOne – Tonight"